Joy Ohagwu is a “new to me author”. Until recently I have not had the privilege of reading any of her books. And that is a shame because I had no idea what I was missing out on. What I loved most about two of her books, Whisper and Hunter, is that on almost every page, Christianity is boldly present. Not just a mention of Christ here, a Scripture dropped there, or a few words of a prayer sprinkled throughout. No. They are present and organically relevant to the main characters and the storyline. The main characters are Christian, but just like real Christians, they are not perfect. They struggle with the same issues that everyone else does. Unmet expectations, broken dreams, grief, loss and, unfortunately, the consequences of mistakes made when we are in the midst of those emotions. The characters are likeable and relatable, the chapter hooks are engaging and the content is strong with believable and plausible situations. This is not one of those books where you’ll have to guess whether its Christian fiction. The Light of Christ shines from the pages while still pulling you into the story and leaving you wanting more. My Goodreads rating for this novel is five stars and my Fiction With Faith Candle and Bread rating for this book is also five stars. 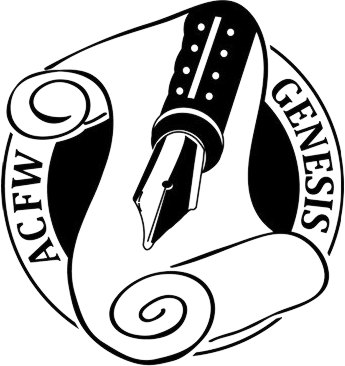 The goodness of God, the Light of the Christian faith, and spiritual nourishment are tastefully abundant in these novels. Joy Ohagwu is an amazing storyteller. And she just found herself a new fan. Harper’s second chance at life will become a second stint in prison if anyone connects those two dead men to her. Nutfield, New Hampshire, is as good a place as any to hide from the murderer Harper left behind in Maryland. All she has to do is lie low and make enough money to keep herself and Red alive until she can figure out who her enemies are. Jack Rossi isn’t sure what to make of his beautiful new tenant and her confused grandfather. Something’s not right, but the love he sees between them and the care she takes of the old man convinces Jack they’re trustworthy. As drawn as he is to Harper, she’s his tenant, so she’s off limits. Derrick, Harper’s ex-boyfriend and Red’s grandson, needs to find his grandfather and get his hands on the old man’s money before Derrick ends up with a bullet in the skull. And when he gets his hands on Harper, she’ll be sorry for what she’s put him through. Harper and Jack grow closer, but so do her enemies. If Harper can’t trust Jack with the truth, she may lose more than just this glimpse of true love. She may lose her freedom—or her life. 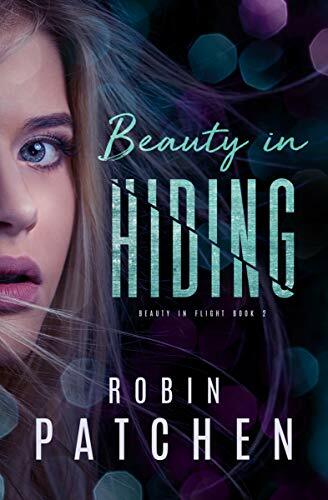 Don’t miss Beauty in Hiding, Book 2 in the Beauty in Flight series. Download it today. If you like the Beauty in Flight series, you might also like the Hidden Truth series, the first stories that take place in Nutfield, New Hampshire, and the Amanda series. Her beauty once opened doors, but the felony conviction slams them shut. ​Harper Cloud used to love the gilded glamour of Las Vegas, but on the far side of prison, she sees the cracks in the veneer. These days, she keeps her head down and focuses on the elderly patients in her care. Even her new wealthy east-coast boyfriend, Derrick, can’t entice her away. She’s trusted men before, and look where that got her. She tries to brush off the feeling that she’s being watched. But when she’s followed home one night and her pursuer gets within a hair’s breadth of grabbing her, she knows it’s time to get away from Las Vegas. Maybe Derrick can be trusted. Maybe his job offer—to care for his aging grandfather in Maryland—will be the second chance she needs. But Derrick has secrets of his own, secrets that could take him down–and take Harper with him. Can there be a second chance for someone like her? Buy Beauty in Flight today, Book 1 in a 3-book-series that’ll keep you guessing until the very end.